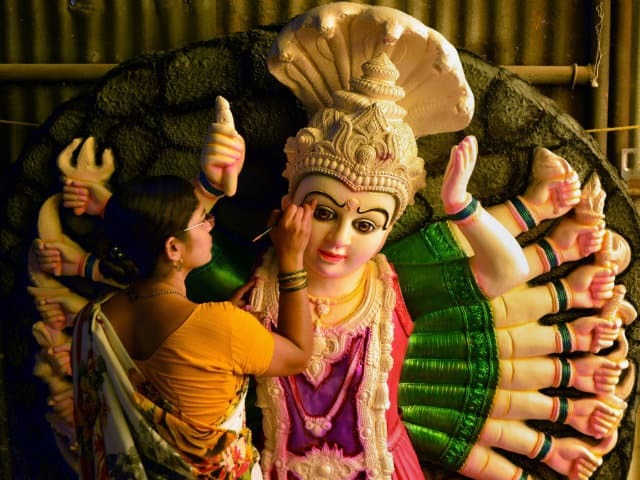 An artisan gives the finishing touch to an idol of Durga ahead of Durga Puja festival, in Karad on Friday. 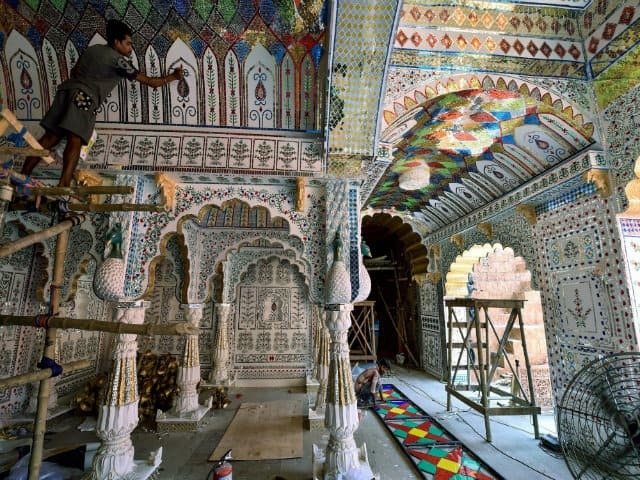 A worker decorates a pandal for the forthcoming Durga Puja celebrations in Kolkata on Thursday. 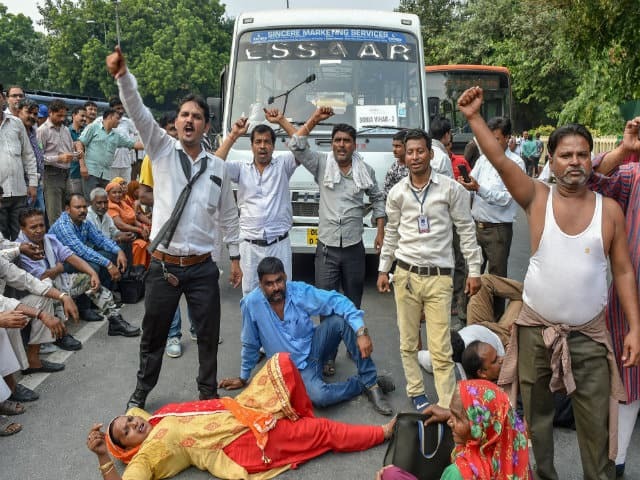 Sanitation workers of East Delhi Municipal Corporation block a road during a protest outside Delhi chief minister Arvind Kejriwal’s residence on Thursday.